The risks associated with designing large retaining walls have grown exponentially. The predominant cause of failure is water. Whether a poured concrete retaining wall or MSE retaining wall, provisions must be made to control subsurface water accumulation to minimize hydrostatic water pressure and efficiently drain the reinforced soil. Hydrostatic water pressure exerts additional load on the retaining wall and can be hazardous and damaging. Inefficient drainage of the backfill may result in premature failure. 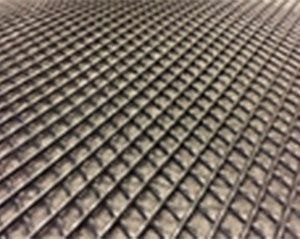 J•DRAIN drainage composites are engineered to eliminate and control hydrostatic water pressure and efficiently channel water away. The three dimensional core creates a high compressive strength and high flow capacity drainage channel and the fused filter fabric prevents soil intrusion into the flow channel. They are a lower cost alternative to traditional drainage aggregate, filter fabric and perforated pipe systems.